Claudius II died of the plague in 270 AD and was eventually succeeded by one of his leading generals – Aurelian. It was during the reign of Aurelian when the relentless attacks by the barbarians came to a temporary halt. Aurelian also retook the East as well as the Gaul, Spain and Britain thus uniting the Empire to a large extent. Following Aurelian’s great conquests, which earned him the title “Restorer of Rome,” he embarked upon a major monetary reform. Upon his return to Rome in 271 AD, the controller of the mint in Rome began a rebellion over the monetary reforms laid out by Aurelian who had ordered that all the debased currency be purchased back and replaced with a new currency of higher silver content. The rebellion was led by Felicissimus. It appears that those who had been running the mint were embezzling the intended silver and issuing the debased coinage at least in part on their own authority. Obviously, any reform to the monetary system that called for an increase in silver content for the Roman coinage would have been unprofitable for those running the mint for personal gain. In the rebellion, as many as 7,000 soldiers died when Aurelian was forced to trap and execute them and their allies, some of senatorial rank, in a terrible battle on the Caelian Hills. Aurelian carried out his monetary reform, which was indeed quite extensive. He increased the size and weight of the antoninianii and there appears to have been a major improvement in the technique of applying the silver wash to the bronze coins. No attempt was made, however, to reintroduce a silver coin. A mark of value (XXI in the west or KA in the east) was also placed on most of the new antoninianii – but not all. While some have argued that this is a tarrif marking suggesting that 20 antoninianii were equal to one gold aureus, it seems unlikely, given the massive inflation of the period, that such a high value could have been placed on a simple base coin. It is more likely that that these markings refer to the silver content being 1/20th. In other words, while a full restoration of a silver coinage was not possible, it was possible to add the scarce silver to the antoninianii thus increasing its alloy value by making it 1/20th silver. The monetary reform of Aurelian also saw the reestablishment of denarii, sestertii and asses for the first time in decades. 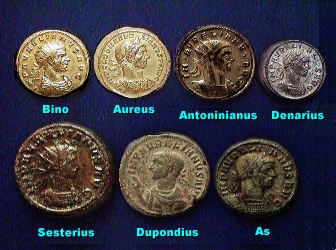 The dupondii and antoninianii retained the distinguishing radiate crown first established by Nero. The dupondii tend to be about the same size as the as but much thicker. The portrait style quite distinguished with the Emperor’s bust facing left raising his hand and holding a globe. This design for thedupondii continued briefly and appears to have been abandoned during the next major monetary reform of Diocletian (284-305 AD). As far as the sesterius was concerned, Aurelian would be the last emperor to issue this denomination. Nonetheless, the last sestertii of the old style were issued by Postumus during the Gallic Roman Empire. The sestertii of Aurelian were greatly reduce in size and weight – a mere 15 grams compared to the weight of Augustus, which was nearly 30 grams. The average weight of the aureus was also increased from 5.54 grams to 6.50 grams and a double aureus, displaying a radiate portrait of the Emperor, was also struck in much greater quantity than ever before with an average weight of 8.25 grams. The monetary reforms of Aurelian certainly tipped the balance within the economy and reduced inflation during his reign and most likely caused a deflationary period to unfold. This obviously upset many powers to be within society who had been profiting from the chaos of the period. In 275 AD, Aurelian was assassinated. Tacitus (275-276 AD) came to the throne and maintained the monetary system as established by Aurelian. Tacitus’ rise to the throne was due to his appointment by the Senate. While Tacitus maintained the Aurelian monetary reform, he did seem to cause the discontinuance of the bronze sesterius and dupondius. Tacitus died of old age and his younger brother Florianus attempted to succeed him, but was murdered by his own troops who in turn supported a rival general – Probus (276-282 AD). When Probus came to power in 276 AD, he maintained the monetary reforms established by Aurelian and resumed the issuance of the bronze dupondius and as, but also reintroduced the semis or half-as. He continued to strike both the aureus and the double aureus. Probus also gave the task of constructing public works to the military. Eventually, Probus was killed by his own troops who had become enraged at the prospect of being employed as mere labourers. He was succeeded in 282 AD a Prefect of the Praetorian Guard named Carus (292-283 AD) who was hailed emperor by the troops. The monetary system of Rome was modified by Carus. The gold double aureus was either eliminated or perhaps became unnecessary due to a modest relaxation in inflation. However, the silvered bronzeantoninianus does appear to have been struck in two classes of weight – 4.76 grams and 3.5 grams. While there are no known dupondius or sesterius, Carus did continue the issuance of the Roman as and semis. The Emperor Carus was killed by lightning in his camp after defeating the Persians. He was succeeded by his two sons, Numerian (283-283 AD) and Carinus (283-285 AD). Both of these emperors continued to issue coinage with little or no change to that of their father including the bronze as and semis. Numerian fell victim to his Prefect of the Praetorian Guard and Carinus was murdered by one of his own officers barely a year later. With the death of Numerian and Carinus, the empire fell into the hands of the next great reformer – the general Diocletian. There is little doubt that the economic decline within the monetary system of Rome during the 3rd century AD had led to a serious economic and social decline in nearly every aspect of the state. As illustrated above, silver had been driven out of the monetary system by a persistent need for money and the willingness of the government to create funds when needed to cover its expenses. The reforms of Diocletian were far-reaching into virtually every aspect of the administration including the reorganiztion of the state, economy , monetary system and not least of all – the Constitution for the empire itself right down to the office of the emperor. The most shocking reforms of Diocletian involved the very office of the emperor himself. Diocletian’s vision was to end the inherited right to the throne and instead create a something similar to a president and vice president structure for the Eastern and Western regions of the Roman Empire. In so doing, the junior partner Caesar stood in acknowledge line of succession. This new political reorganiztion was known as theTetrarchy. Indeed, Diocletian’s reforms were a major attempt at stabilizing the political aspects of the state. While Diocletian attempt to set a good example by retiring from office, unfortunately, he remains the only emperor in Roman history to do so. The Tetrarchy was eventually torn apart by Constantine the Great and his own personal ambitions to reestablish a monarchy. The political instability of the 3rd century had also caused massive inflation, which drove silver completely out of circulation. Thus, Diocletian instituted the first attempt by a government to impose wage and price controls. In 301 AD, Diocletian issued his famous edict, which fixed a maximum price for goods and services. While we do not have a complete version of this edict, fragments have been found in 30 ancient cities. It begins by stating its purpose to instill price-restraint and to halt price-speculation by profiteers. This gives us some insight comfirming that speculation was rampid throughout the 3rd century as tangible goods and property rose in terms of nominal currency. This is a natural economic consequence, which has been documented throughout recorded history right up into modern times with the hyperinflation of Germany in the 20th century to the huge inflationary spiral unleashed during the 1970s following the abandonment of the gold standard and fixed exchange rates in 1971. Diocletian’s attempt at wage and prices controls, had the same success rate as those of Richard Nixon in the 1970s – both failed! Lactantius commented at the time that the edict drove goods off the market creating an even larger black market. It is clear that the edict was not so much a ceiling for prices as it was an attempt to lower prices. Still, with this unrealistic approach at curbing price inflation, the edict reflected as much as a 7300% increase in the price of wheat from the previous century. Given the conservative attempt of the edict to control prices suggests that inflation must have been significantly higher, perhaps even in excess of 10,000% during the 3rd century AD. A papyrus of 335 AD shows wheat prices 6300% higher than the attempted ceiling of the Diocletian’s edict, which warns that this attempt at wage and price controls were not successful. There is little doubt that this economic trend is very similar to modern economic history when silver was driven out of world coinage between 1965-1968, inflation exploded and the national debts rose by more than 6000% by 1997. Diocletian’s monetary reforms most likely took place as a series of events perhaps over a 10 year period. The first actual sign of reform, however, came from a usurper in Britain – Carausius. One of the most remarkable innovations of Carausius’ interesting coinage was the reintroduction of good quality silver denani, years in advance of Diocletian’s similar measure in the currency reform. The reverse legend proclaims “the Roman Revival,” implying that Carausius himself was far better suited than Maximianus to lead the Roman people into better times. However, what is much more interesting is the fact that Diocletian introduced a silver denarius and NOT a silver antoninianus. Late 3rd century hoards often contain very worn early denarii of Septimius Severus or earlier. Legal documents often still quoted specific prices in terms of denarii. Early 4th century legal documents often specifically state “silver denarii” making a distinction from the obvious debased currency of the late 3rd century period. Carausius’ introduction of the silver denarius may in fact result from a defacto two-tier monetary system, which quite possibly emerged. In other words, Gresham’s law was most likely at work during 3rd century Rome. The hoards of debased currency drove out the older silver denarii from normal daily circulation. However, these old silver denarii perhaps reentered circulation at a premium to that of the current debased issues. If this were the case, it would make sense that Carausius would attempt to strike a silver denarius equal in value to the old silver denarii. Therefore, the silver denarius issued by Carausius is a multiple denomination of the debased bronze antoninianus. Therefore, the monetary reforms of Diocletian were at least inspired by Carausius although it was perhaps just a necessary step due to the dire circumstances of the times. Diocletian’s first step was to reestablish the gold aureus, which was struck at 60 to the pound (5.45 grams), whereas hit had begun to suffer from weight reductions particularly during the reign of Valerian I. However, the aureus had risen in weight once again under Aurelian and by the time of Diocletian’s reign the aureus was being struck losely at 70 to the roman pound of gold (4.67 grams). 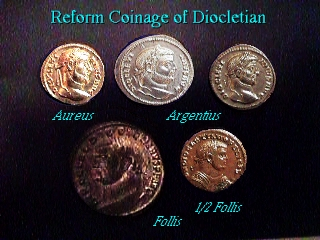 Diocleatian’s reform was in effect a weight increase in an attempt to reduce inflation. Next, Diocletian attempted to reestablish the base unit of the monetary system – the denarius. A new silver denarius was issued with about the same weight and fineness of that of the denarii during the reign of Nero – 96 to the pound (3.41 grams). It appears that this coin was simply called the argentius meaning silver. In documents that have survived from this period, it clear that there are refences made to “denarii” and “argentius denarii” stressing the difference in obvious value. It is also important to note that the denarii, which had been so debased as to become merely a bronze token coinage similar to what we would call a penny, may not have purchased very much at all. However, units of value were still expressed in terms of this debased coinage. This is similar to the Lira or Yen, which today are worthless in a single unit yet value still continues to be caluclated in Yen or Lira but only in multiples of 100’s, 1,000’s, 10,000s and so on. The “XXI” marking, first establish in the reform of Aurelian, was removed from the new reformedantoninianus and placed on the new follis. Metal analysis confirms that the follis contained on average about 4% silver where as the reform antoninianus had little if any to speak of. Therefore, 5 follis may have indeed been equal to 1 (silver) argentius. However, with decades of massively produced debasedantoninianii in circulation, that portion of the money supply had to still fit within the current monetary system. It could not be replaced nor could it be cancelled. 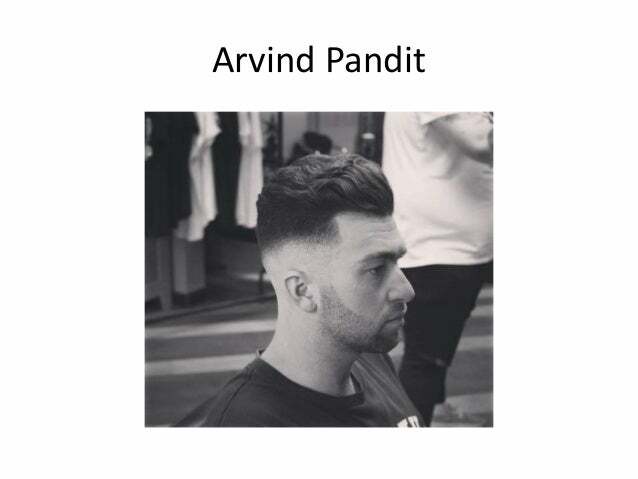 The question that arises is simple. What exchange rate prevailed between the old antoninianus and the newfollis? If we assumed a perfect world and the outstanding antoninianii were all 1/20th silver as prescribed by Aurelian’s reform, then 5 antoninianii contained 4 grams of silver. The follis, although larger in size and with a weight of 10 grams, should have contained only 2 grams of silver. If the relationship between the denominations was as stated previously, then the follis was too heavy. Indeed, silver began to disappear and the follis fell 30% in weight by 308 AD. By 309-310 AD, the argentius declined in silver content to less than 50% and began to take on the appearance of a bronze coin once more. 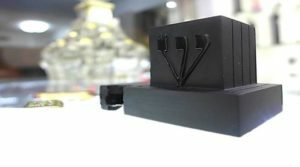 Pingback: Do you know to do this?